For decades, Medical 3D Printing has been enabling a more personalized approach to patient care. But for decades, it’s been a quiet player on the sidelines, leveraged in relatively few specialties and called on as an additional planning tool for the most complex cases. Today, the steady rise of Point-of-Care 3D Printing shows that the technology has emerged and entered hospitals as a valued enabler for surgeons to plan cases. Read on to discover why Point-of-Care 3D Printing is on the cusp of revolutionizing personalized care, and how Stratasys is joining Materialise to help hospitals realize that vision. 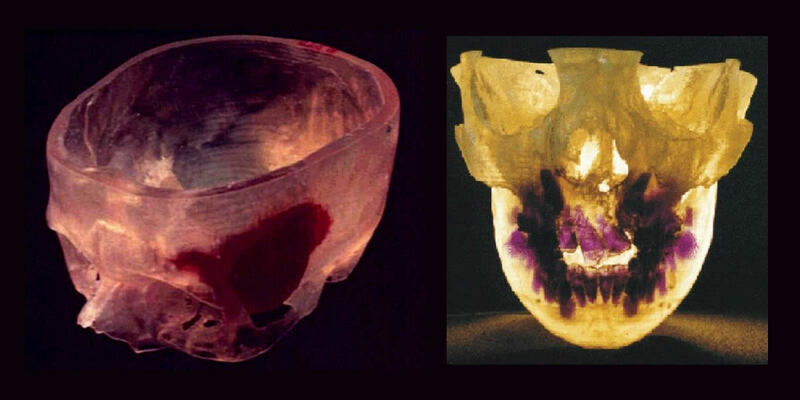 Medical 3D Printing has a long history. At Materialise, it goes back as far as 1992 with the launch of Mimics: the first software to produce anatomical models for doctors using CT data. In the mid 1990s, the European Commission launched a project named PHIDIAS. Spearheaded by Materialise, the project set out to 3D print anatomical models based on medical imaging, streamline the process, and ultimately investigate the significance patient-specific anatomical models could serve. By 1995, PHIDIAS had successfully proven that it was feasible to produce accurate medical models based on medical image data. Additionally, the study showed that patient-specific models had substantial impact on the surgeries planned with models. The legacy of PHIDIAS is still visible in the rise of Point-of-Care 3D printing today. The same clinical benefits observed in this study are leading hospitals to invest in 3D technology for pre-operative planning, interdisciplinary communication, education and research. But the move from occasionally outsourcing 3D prints to implementing in-house 3D printing facilities is a significant shift for hospitals, which as a result is driving new innovations in the field. First, the American Medical Association adopted new CPT billing codes for 3D printing which will make it possible to collect more data on the use of 3D printing in hospitals. Ultimately, this will help the industry gather the evidence needed to further reimbursement initiatives. Second, the Radiological Society of North America’s special interest group (SIG) on 3D printing published the organization’s first guidelines for medical 3D printing, including clinical appropriateness criteria. Created to “provide recommendations towards consistent and safe production,” the document provides guidance for clinicians on when to use anatomical models for patients with specific medical conditions. Taken together, these two developments reiterate that Medical 3D Printing is no longer the exclusive domain of research labs but is increasingly an active player at the point-of-care. 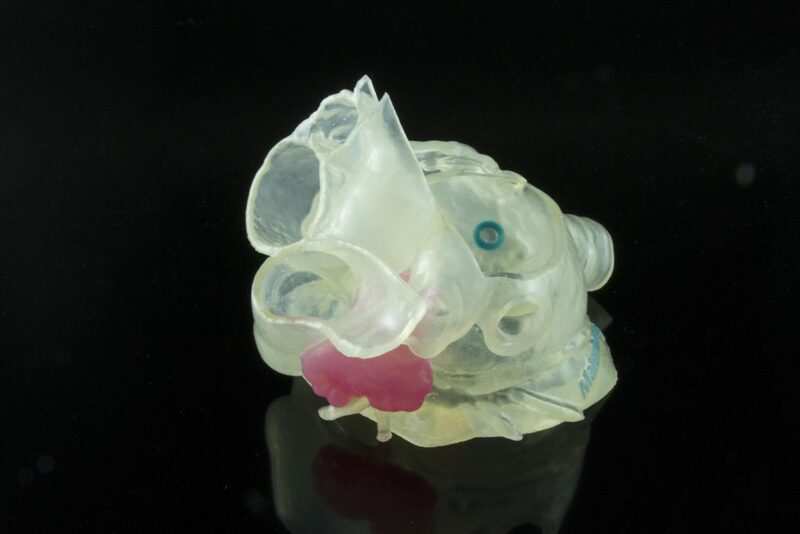 Yet, these milestones in the field of 3D printing would not be possible without a major development in April 2018: when Materialise received FDA clearance for Mimics inPrint software. Materialise Mimics inPrint is the first and only software cleared to 3D print anatomical models intended for diagnostic use, giving hospitals a solution that is compliant with FDA regulation. The software converts medical image data into 3D anatomical models and can be easily linked to a 3D printing machine or advanced visualization applications. For hospitals, this makes Mimics inPrint the logical first step towards implementing 3D Printing technology in the clinic. With the cleared software comes a complete solution: including compatible hardware and materials validated for printing diagnostic quality models. To provide hospitals with fully certified solutions, Materialise launched a hardware and materials Certification Program. The program identifies printers and materials that have proven compatibility with Mimics inPrint, so hospitals can start Point-of-Care 3D printing facilities with both hardware and software fully certified for diagnostic applications. By sourcing pre-vetted printers and materials, hospital management and staff will be able to gain confidence and peace of mind in relying on a trusted partner and solution for both hardware and software. Stratasys, one of the world’s leading manufacturers of industrial-grade 3D printing machines, is among the first 3D printing hardware partners to participate in the Certification Program. Thus far, three Stratasys printers and their corresponding materials have been tested and found compatible by Materialise: Objet30 Prime, Stratasys J750 and J735. “Stratasys printers using their PolyJet technology are particularly diverse in their applications, thanks to their unique ability to build multi-material and multi-color models. This lends itself well to a centralized service approach, where a single 3D lab at a hospital will likely be called upon to produce models addressing a whole range of surgical specialties. Take, for example, models that need feature zones with varying rigidity and flexibility to highlight the presence of tumors; or multi-colored models to highlight the location of aneurysms. Applications are diverse as well, ranging from patient communication to pre-operative planning. Physicians using Materialise Mimics inPrint and Stratasys’ PolyJet technology to produce anatomical models have noted benefits including increased insight, thanks to the visual and tactile feedback of the models, and the support in preparing patients for upcoming procedures. Materialise experts agree that Point-of-Care 3D printing is the single most significant trend to watch in Medical 3D Printing this year. The trend is equally clear to observers outside the 3D printing industry: Gartner predicts that by 2021, 25% of surgeons will practice on 3D-printed models of the patient prior to surgery. Revolutionary as patient-specific care is, the movement is only just getting started. For Materialise and Stratasys, it’s not just a revolution to watch but a revolution we are proud to enable. Want to learn more? Listen to experts from Stratasys and Materialise discuss the value of FDA-cleared 3D printing technology for POC surgical planning at the Certified POC 3D Printing Webinar.